This paper consists of three sections, each with a particular objective. 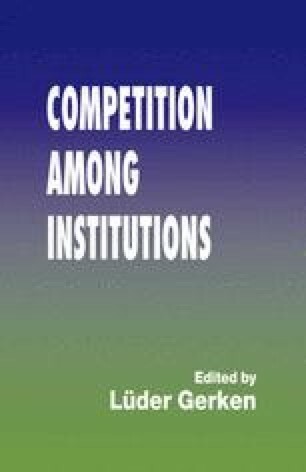 The first section suggests a simple conceptual model of the role of institutions in social systems, to provide the present discussion with a clear conceptual framework, and perhaps also contribute to increasing the precision of the study of institutions in general. While the study of institutions is certainly more difficult to provide with a precise conceptual basis than quantitative studies of resource allocation, much improvement is still possible. I thank Nicolai Foss, Lüder Gerken, Douglass North, and Viktor Vanberg for valuable comments on earlier drafts. The remaining errors and conclusions are mine.